In this episode, Andrea and Eric answer over 17 questions directly related to physique and performance enhancement. 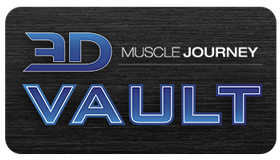 Some of the topics addressed include: testosterone’s effect on muscle-mass, planned vs. autoregulated deloads, exercise substitution frequency, how to maintain a leaner physique, correcting forward-lean during high-bar squatting, and many more. If you enjoy listening and learning about different nutrition and training strategies for improving the human physique, this episode is sure to provide you with a few new gold nuggets of information. Sit back, relax, and enjoy over two hours of evidence-based conversation. 1:03:41- Is there an interference effect from training the same exercise across multiple rep-ranges? 1:19:17- Can you maintain your muscle-mass training only 2-3x/week?